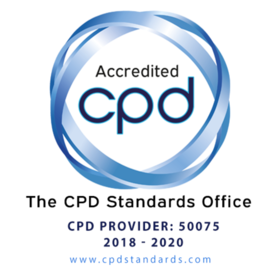 BeMRCOG was decorated with CPD accreditation earlier in 2016, by the CPD standards office, UK. Hundreds of students are now enjoying internationally recognised CPD credits on our courses and live events. Accreditation is an incredibly important facet in education. Accreditation confirms you are involved in an activity which has passed high standards of quality. BeMRCOG is proud to be the only other accredited course provider after StratOG. Our pass rates are constantly improving and user satisfaction rates are now excelling expectations. MRCOG part 2 pass rate is steadily rising, while MRCOG part 3 (previously OSCE) results have maintained between 95-100% pass rate. Despite constantly increasing courses uptake, our user satisfaction rates remain 99-100% which is our greatest achievement. Another significant achievement of BeMRCOG is to have produced many effective leaders with the mentoring, coaching and supervision. We have a built a strong culture of leadership throughout our organisation that cultivates great leaders. Good leaders produce followers, but great leadership produce more leaders. This is the evidence that we are keeping with our mission statement ‘ working together for success to produce tomorrow’s leaders’. Students passing out from this platform have excelled in their professional and personal lives. It is very challenging to consistently keep up the challenge of maintaining user satisfaction over extended periods and from a distance all through. Despite technological glitches and distance barriers, we successfully develop strong and long-lasting bonds with our users because of which we call it BeMRCOG family. Reference to testimonials?